On the west coast, fire season never ends. 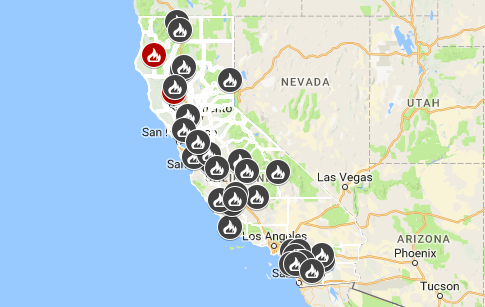 There is almost always some fire burning in California–as is shown on this map, provided by CalFire and updated in real time. Fires burning in CA as of June 2nd, 2018–date of publication. Source: Cal Fire. When California burns, what happens to the people? This question becomes increasingly prominent as more people than ever flock to California for the sun and culture. Development rates are increasing, and real estate is a booming business in Southern California. While this is great news for would-be homeowners, it also increases the number of people at risk of catastrophic fire. On the issue of drought, there isn’t much to be done immediately. Climate change is in motion, and assuming (hoping) significant international action is taken in the next few years, individuals should not be consumed with what they can do to minimize climate change. Last year, fires destroyed over 1,000 structures in southern California. Despite this, the healthy real estate market facilitates further redevelopment. In addition to the market, increased population benefits California’s tax base, further motivating increasing population in the state. If you’re like me, you might be wondering how this could happen. One main reason is related directly to the second point—that there is a high demand for prime real estate in California, leading to an increase in development. Instead of curbing development in high fire risk areas, the California government is facilitating urban growth. This is not a new phenomenon. According to a University of Wisconsin Madison study, 94% of homes destroyed by fires between 1979 and 1999 were rebuilt. While the rebuilding may have added technical features that make these homes more fire resistant, in reality, we know that fires have become more deadly and more frequent since then. 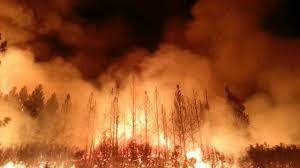 We may also venture to guess that threats of fire will only become more prominent in the arc of California’s story—despite occasional wet years, droughts are predicted to increase in frequency and duration. While some insurers are beginning to issue more nonrenewal notices, this is not a viable policy measure. This year, a Bloomberg article pointed out that over 10,000 homeowners were dropped from their fire insurance coverage in 2016. One way to look at this could be that individuals might be motivated to move away to somewhere they can get insurance (that is, somewhere with a lower fire risk). Alternatively, the number of people with high fire risks may still be increasing, and with it the number of uninsured homeowners. The alternative to no insurance, for those providers who are willing to support homeowners in high-risk areas, is a fire insurance policy with an outrageous premium. Residents in threatened areas saw price hikes of up to 30% in 2013. If you are comfortable with the risk, you may want to factor in the insurance costs. The only method to address the fire insurance trap is to not build or rebuild homes in high fire risk areas. Unfortunately, as a policy measure, this would alienate many homeowners and leave them at risk. 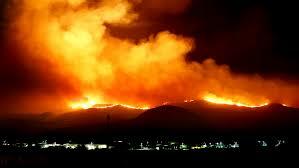 As global temperatures rise, the areas that are subject to increased fire risk also increase. If you are at risk, there are plenty of resources online for how to prepare for fire and minimize your risk. Eli Meyer is a California native with his sights set on returning soon. Eli comes to BCEP from Bard Undergraduate where he studied Environmental and Urban Studies. 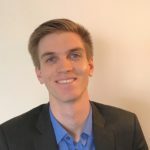 Because of his developed interests in waste management systems, Eli hopes to begin a professional career in food waste management or sewage repurposing.